What are the benefits that franchising offers? When considering the option of franchising, the first question that often comes to mind is, "What's in it for me?" Put simply, franchising provides independent business owners with expert training, recruiting assistance, and the opportunity to compete at a national level. The result? Tremendous growth opportunities for your business. 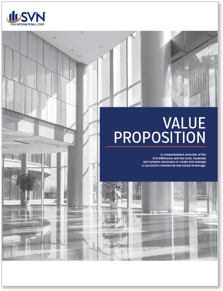 Download our Value Proposition to learn about all of the tools and services that make up the SVN® Difference. See how franchising through SVN can help your team to improve its overall processes and efficiencies. The marketing and networking tools available to grow your national reach. How Compensated Cooperation helps to increase deal flow and repeat business. The support programs available for brokerage operation and development.